Middletown, Connecticut – February 6, 2018 – PNT Data Corp., a cloud-based managed service company that provides data coordination services to a nationwide base of healthcare entities, has announced its commitment to Data Privacy Day ‒ an international effort held annually on Jan. 28 to create awareness about the importance of respecting privacy, safeguarding data and enabling trust – by signing up as a Data Privacy Day 2018 Champion. As a Champion, PNT recognizes and supports the principle that all organizations share the responsibility of being conscientious stewards of personal information. Data Privacy Day is part of a greater campaign that promotes awareness of the importance of privacy, highlights easy ways to protect personal information and reminds organizations that privacy is good for business. PNT joins the growing global effort among nonprofits, academic institutions, corporations, government entities, municipalities and individuals to raise awareness at home, work, schools and in their communities. Through collaboration and unified, consistent messaging about privacy and protecting personal information, all Data Privacy Day Champions are working toward the common goal of improving individual and business consciousness toward respecting privacy, safeguarding data and enabling trust. 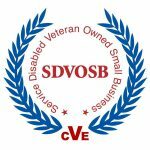 PNT Data, a Service Disabled Veteran Owned Small Business (SDVOSB), is a specialist at managing the fundamentals and complexities associated with healthcare data for a nationwide base of healthcare payers, plans, hospitals, physicians, clinics, labs and vendors. The company’s managed services help customers enable data accessibility, quality, and transparency to increase revenues, promote better health, reduce costs and improve service levels. PNT’s unique value proposition prioritizes: quality over quantity, service over technology, flexibility over rigidity and results over activity. To learn more please visit www.pntdata.com. For industry updates and company news follow us on LinkedIn, Twitter, Facebook , and YouTube.